Michael Brodie has over forty years of experience working with non-profit organizations in the U.S. and abroad and directs the firm’s fundraising practice area. His experience includes long-range planning, board development and training, capital campaign planning and execution and planned giving. Michael has advised a wide variety of clients, including the University of Maryland School of Medicine, the Fund for American Studies, Bishop McNamara High School, The American Air Museum in Britain, St. Edmund Hall at Oxford University, the Galapagos Conservancy, the Chesapeake Bay Foundation, the Nature Conservancy-Tennessee, the American Pharmacists Association, the Potomac School and the Washington Jesuit Academy. Michael’s extensive experience includes working with individual, corporate and foundation donors through campaigns at Syracuse University and Georgetown University and Catholic University. At Syracuse, he helped to raise $25 million to build the Carrier Dome Stadium. He then moved on to direct alumni and major gift initiatives in the mid-Atlantic region. At Georgetown, he directed the campaign in Washington, D.C. that raised $30 million of the University’s $150 million effort. Among his accomplishments is coordinating the campaign for the Vincent T. Lombardi Cancer Research Center at GUMC. 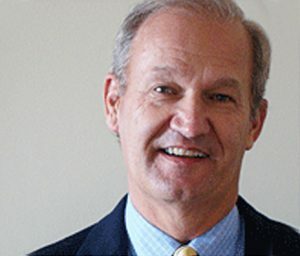 As Executive Director of Development for the Catholic University of America, Michael directed the university’s $100 million Centennial Campaign, supervised a staff of 40, and produced the first American Cardinals Dinner, which won a CASE Gold Award for the best fundraising event in the US in 1989. As Vice President for Development at American Rivers, Michael worked to transform the board of directors into a world-class fundraising entity, directed fundraising efforts for a number of high-profile conservation campaigns including one to protect the Yellowstone River in Yellowstone National Park, and positioned the organization for its first capital campaign. He was also instrumental in staging a variety of cause-related events, including sponsoring the Eagles’ Hell Freezes Over tour and the world premiere of The River Wild. Michael holds a master’s degree in Education from the State University of New York at Albany and a Bachelor of Science degree from St. Lawrence University. He is a member of Washington chapter of the Association of Fundraising Professionals and the National Capital Gift Planning Council. © 2018 BCC & Associates, L.L.C.